I've been fighting this since the beginning on my F150 and now its come back to biting me again,, my original problem Sync wouldn't work -- then we found out I had an old 256 model RR unit that wouldn't hold all the firmware.. then I buy ANOTHER RR unit -- now Sync works but it thinks Im driving a CMAX and not an F150 .. NOW the latest problem -- I tried to use my Pro Trailer Backup system the other day and it gave me an error -- said there was a fault with my power steering control module -- pulled the codes from my ECU and I find out its throwing a code because the APIM module is not addressing the PSCM correctly -- well that ends up coming back to the Maestro RR since I don't have an APIM module now that I removed the factory radio. 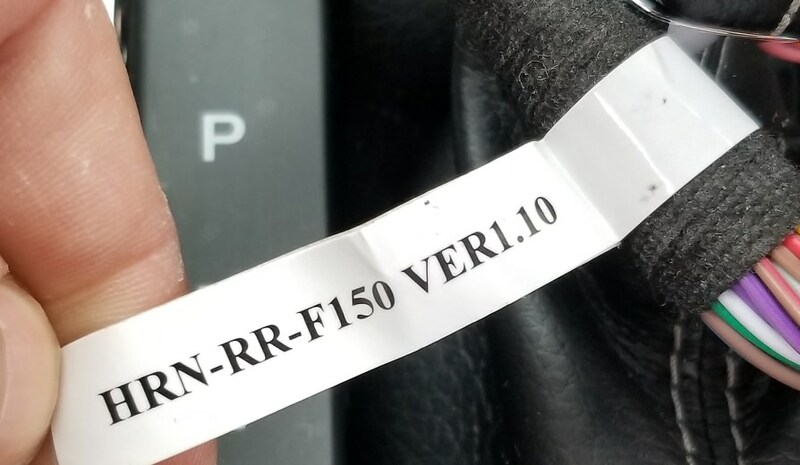 AND since they traced the problem to the Maestro RR that apparently said ooops that's not a Ford item -- aftermarket item not covered under warranty now I have to pay for 2 hours labor for them tracing it down to the APIM.. this is getting to be more expensive that it was worth. Anyone else having this issue with the pro trailer backup? Is this something the Maestro RR even supports since it ISNT a choice when you are choosing your options when installing the firmware? It offers "park assist" which Ive never seen on an F150 and radar detector as well.. is the park assist = pro trailer backup? 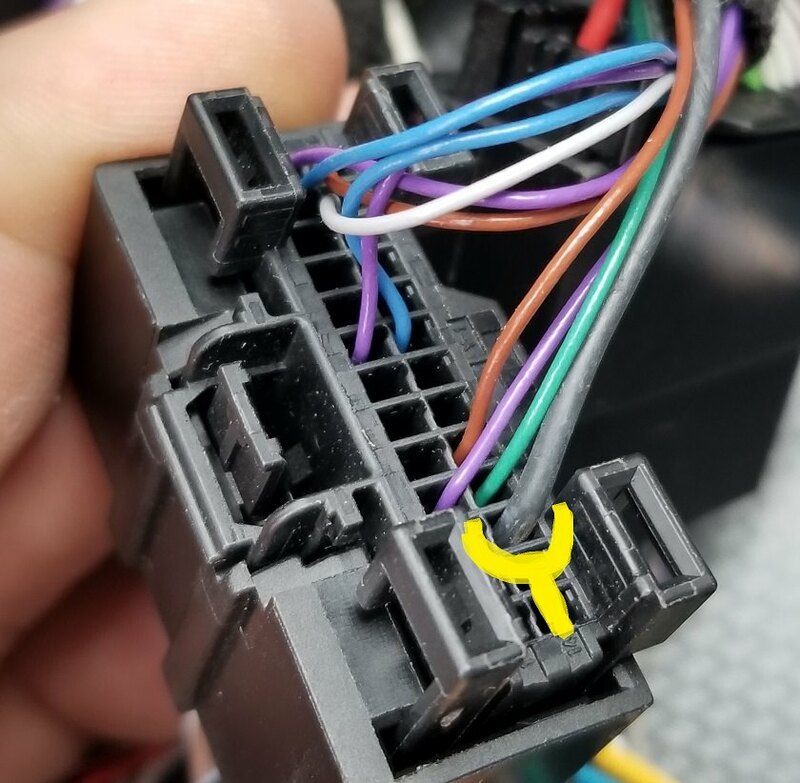 Im not sure if Im not flashing the module correctly or if apparently my F150 just STILL doesn't get along with the Maestro..Everything else works correctly -- steering wheel controls and the OBDII monitoring. I disabled Sync since it was giving the Maestro fits.. but now this error..
1. Park Assist are the ultrasonic parking sensors built into the bumper of some trims. 2. APIM is Ford lingo for Sync Module and you still have that in your truck. I have no idea why the PSCM module and Sync would need to communicate. ACM is the radio (audio control module) that you have removed. 3. How does Sync think you are in a CMAX? What does it do to indicate that? We have had people successfully retain pro-trailer back up and comment that it operates completely independent of the factory audio system. Maybe check over the install again. It would seem crazy for a system like that to be rendered inoperative by a radio failure (which happens more often than one might think). Hope you find the issue. If not, we are happy to try and locate a truck with this system and test it again. They are quite hard to find in Canada. Im not sure and I agree with you on the APIM = Sync but the dealership argued with me specifically saying it was because I removed the stereo and installed the aftermarket system. The reason it is a problem according to the Ford manual - the Pro Trailer Backup System is a complicated system dependant on many different items in your truck, if ANY of these modules are not operating properly the Pro Trailer System will generate "System Not Available" error and exit. The trouble code from the Power Steering Control Module gives an invalid configuration error from the APIM. and then a bunch of giberish after that that means nothing to me. They then informed me that a trouble code on the PSCM will shut down the Pro Trailer Backup since it steers the truck for you as you use its control... and all it sees is an error on the PSCM so it wont let the system start. 1. When I go through my stereo to the Maestro Module - Master Reset - Yes / No screen .... it locks up solid -- I can press no or yes and nothing happens it just sits stuck on that screen and does nothing..my stereo does highlite the buttons when I push them but nothing happens.. I push the stereo home and menu buttons and they also do nothing so I cant get out of this screen, I have to turn the key off to kill power and then restart it - It then boots up just like normal. 2. When I go into the OEM settings menu and I choose SYNC Phone or Radio Phone.. it WILL NOT let me change the setting from SYNC Phone.. it just sticks there on Sync Phone ignoring my keypress on the Radio Phone just like the reset screen does, except this one has the back arrow on the screen so I can back out of it. So should I set up my firmware install without the parking assist and radar detector options? I do not have either of these items on my truck. I just left every option checked when I flashed the Maestro module this morning. I called the dealership again after installing a new module / firmware didnt fix it .. told them what you said about APIM is Sync Module and Sync module is still in there.. and many others have installed this with no issues to their Pro Trailer Backup -- so I need to bring it BACK in to them and see whats wrong with my APIM.. he told me to make an appointment with them when I get back from vacation. The hardest part for me in this is I cant tell them if the Pro Trailer Backup worked before the Maestro / Kenwood install or not.. I never tried to use it until now -- I just purchased a new trailer last week and it was the first time I tried to use the Pro Trailer Backup.. it possibly could have NEVER worked properly and Im just finding out now, and since there is an aftermarket stereo and module in there.. they were quick to point right at it as soon as it popped the code on the ECU for the APIM. Oh thats the problem! and pretty much shut me out from there. Oh and I forgot to mention my stereo is a Kendwood DDX9903S if that matters..
And while Im at it I guess I can ask questions since when setting this up and downloading the firmware into the Maestro it did NOT give software / operating instructions as it did on my other vehicles, ONLY the hardware installation booklet. When I spoke to ford they told me to go into the Sync Menu and perform a Master Reset on the Sync Module... How do I get to the Sync Menu? I stumbled into all of the other menus via trying to use the item then finding the icon on my Kenwood. And it actually opened the Sync menus for the Phone, USB, Bluetooth etc when I went to each icon. However when using the voice commands it DOES NOT change the screen to the proper item.. IE I was on the Sirius XM - used the voice prompt for USB It accessed the USB Stick and ask me what I wanted to play... then it just sat there for a while and then gave me a USB player error. It would not work until I manually opened the Sync Media Player icon on the stereo .. then the USB played fine... it did that with the phone also.. had to manually hit the Sync Phone icon. Since this FTR1 kit removed my LCD and buttons for all of its menus.. this creates a small hurdle if I cant use all the functions I had before .. IE the Sync module master reset.. etc.. will there be a software manual?? 1. ACM - Audio Control Module - This is radio body, you removed it and our T-harness connects to the plugs that came out of it. 2. APIM - Advanced Protocol Interface Module (Sync) - 52 pin Euro connector and USB plug. You can see the attached FORD wiring schematic that shows you this too. As far as the harnesses go, our website lists two required accessories FTR1 OR FO2. The FO2 is a harness for people that use a dash kit from another supplier. The FTR1 includes the harness you have and it's the correct harness. Every wire in the harness you show in your pictures carries audio signals. There are no data lines there. The missing black is for the audio shield they wrap around the audio wires and it is supposed to be like that. On your two new issues, I would suggest you call into tech support at 866-427-2999 so we can trouble shoot real-time and get you a fix in firmware if needed. Finally, if you want to check the Pro-View trailer thing, just put all your gear back in and see if it works. You can do this without moving the heater controls back and forth between plastics. All the rest is T-harness so unplug and replug just to test. If it still doesn't work, it may be best to go back to stock and make them fix it before putting the rest of the gear back in. You might want to read the Magnuson–Moss Warranty Act (google it), as for them to refuse to fix something, they have to prove the aftermarket gear actually caused the issue. I know this can be daunting, but it's also one of the reasons people go to a shop to have the install done. They have to deal with dealerships about this kind of thing all the time. Finally, when you flash the module, it won't matter if you leave radar and park assist checked. We look for these systems on boot up and disable them if they are not present. It's also fine if you want to uncheck them. Same difference. Sorry for your trouble and I hope we can get you all sorted out. Im actually on pretty good terms with the guys at the dealership, so Im not majorly worried about getting it fixed I just want make sure I have all my ducks in a row and can back it up/prove it to them. I am actually very familiar with doing these.. the only wildcard for me here was the Pro Trailer backup since Ive never had it in one of my vehicles. And I will be 100% honest with you I dont personnaly care if the Sync is retained or not Ive found I prefer using the ports on the FTR1 Kit for my usb stick and Android Auto over Sync anyways -- I just wanted to make sure everything worked properly when I take it back into them that I can say see Sync still works.. now fix my truck! 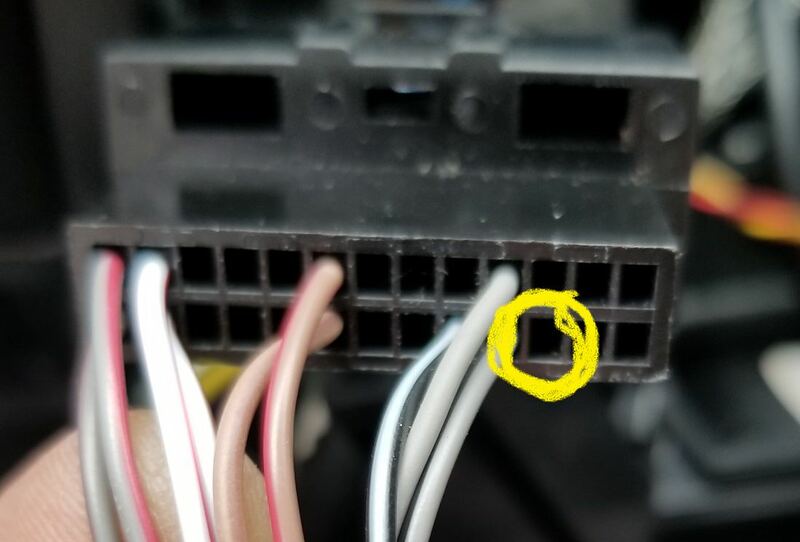 lol I cant really go back to the factory stereo to have them fix it as you suggest as the FTR1 kit had me cut out a piece of my dash that the factory mounts went on to install this kit -- so that bridge is kinda burned. Would the operating instructions be the same as the instructions for another ford with a Kenwood.. I was looking at the instructions for a 2015 Escape 4.3" screen installing a Kenwood stereo with the Idatalink and its screens looked very similar to mine. I just dont really have time this morning to sit on the phone and go through it with someone as I mentioned in one of my previous posts -- loading up to head to airport for vacation in about 2 hours.. I just wanted to check here for a reply before I left. The only problem with the Maestro that actually concerns me at this point is the Maestro Module Master Reset Screen locking up my stereo. That will be an issue with or without Sync enabled if I ever need to reboot the module. All of the Sync issues are irrelevant to me as I will probably re-flash the module again in the end and just disable Sync. Its kind of irrelevant anymore since Ford no longer supports it as they used to, The Android Auto combined with the Kenwood's capabilities do more than Sync did anyhow. I just know without the ability to open the sync menu on the stereo -- which I didnt see a way to do.. so I could do the "Master Reset" on the Sync Module like my stereo does not show I seperate button for "My vehicle" then opens a screen with all the Maestro / Sync features I have to go through multiple different menus to get to the ones Ive found. Anyhow if nothing else I will just have to give you guys a call when I get back to try and figure it out! Well at this point it looks like my Ford dealership was correct.. I removed the FTR1 kit / Maestro RR module and put all the factory stereo etc back in -- and Pro Trailer Backup works perfectly -- and no more trouble codes... so there is obviously a problem with the kit or the firmware because I have re-flashed and re-checked the wiring and documentation that I did get multiple times and its never worked properly yet. At this point it looks like Im just going to leave the factory radio and such in it since this wont work correctly and honestly Im tired of fighting it.